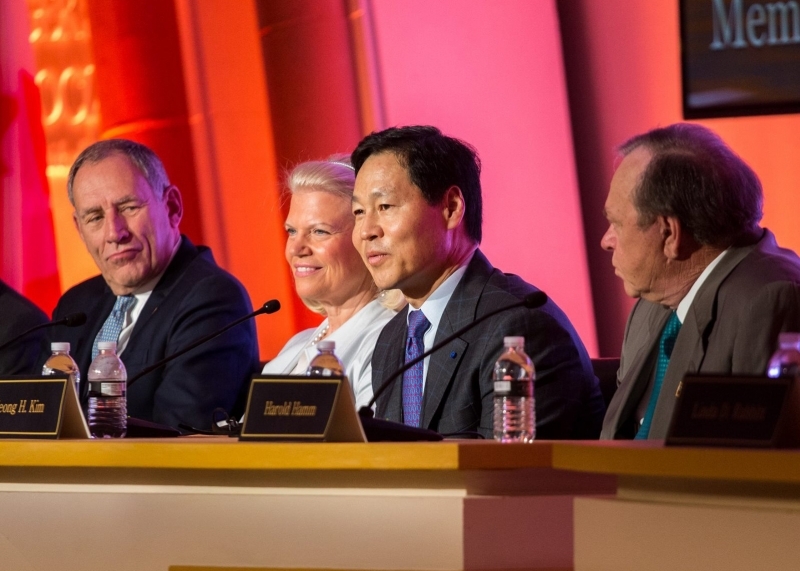 University of Maryland alumni Dr. Jeong H. Kim (Ph.D. '91) was selected for the prestigious Horatio Alger Award given by the Horatio Alger Association of Distinguished Americans, Inc. Kim, executive chairman and co-founder, Kiswe Mobile Inc., and president emeritus, Bell Labs, was selected for membership in the organization. He joins 12 other accomplished business and civic leaders from across North America in receiving this honor in 2016. Since its establishment in 1947, the Horatio Alger Award is annually bestowed upon recognized leaders who succeeded, despite facing adversity, and who are committed to both philanthropy and higher education. "We are proud to welcome Kim as a Member of the Association," said Byron Trott, president and CEO of Horatio Alger Association and 2011 Horatio Alger Award recipient in an association press release. "From overcoming the challenges that stem from moving to a new country as an adolescent to his unwavering determination to pursue his educational and professional dreams, Kim's life exemplifies a true Horatio Alger story. He sets a wonderful example for our Scholars and I am confident that all will benefit from hearing his story." Kim has been widely recognized for his achievements. In 2005, shortly after appointment as president of Lucent's Bell Labs unit, he was named one of the Top 10 Most Influential Asian Americans in Business. He is a National Academy of Engineering inductee and sits on a number of corporate, university and non-profit boards. "As a distinguished alumni, Dr. Kim has been a source of inspiration for both students and faculty of the Reliability Engineering Program," said Mohammad Modarres, Nicole Y. Kim Eminent Professor of Engineering and Director of the Center for Risk and Reliability at the University of Maryland (UMD). We at the Center for Risk and Reliability are proud of having him as a professor of practice and I am particularly honored to be a recipient of one of his endowed professorships." An entrepreneur as well as an engineer, Kim founded Yurie Systems, where he pioneered the development of a revolutionary asynchronous transfer mode (ATM) switch for wireless applications. The ATM switch became a pivotal key in the modernization of telecommunications systems for today's digital market. Kim attended Johns Hopkins University on a scholarship, obtaining his degree in only three years, and then spent seven years as a nuclear submarine officer in the U. S. Navy. He went on to earn a master's degree in technical management from Johns Hopkins University and a received the first ever granted doctorate in reliability engineering from the UMD. In 2004, the A. James Clark School of Engineering inducted him into their Innovation Hall of Fame. He currently serves as a Professor of Practice at UMD. Kim has made considerable contributions to his alma maters, the Johns Hopkins University and the University of Maryland. The Jeong H. Kim Engineering Building at the UMD bears his name and the Dr. Jeong H. Kim Scholarship Endowment provides annual partial scholarships to engineering students who are pursuing degrees in information technology. “People may try to bring you down, but the skills you acquire when facing these challenging situations can help you in your professional life,” said Kim during the 69th Annual Horatio Alger Award Induction Ceremonies. Kim and fellow members of the Class of 2016 were officially welcomed into the organization during the 69th Annual Horatio Alger Award Induction Ceremonies held in Washington, D.C. March 31-April 2, 2016. In addition to recognizing these tremendous leaders, Horatio Alger Association will also honor its 2016 National Scholarship recipients, affording both groups the opportunity to meet and learn from one another. 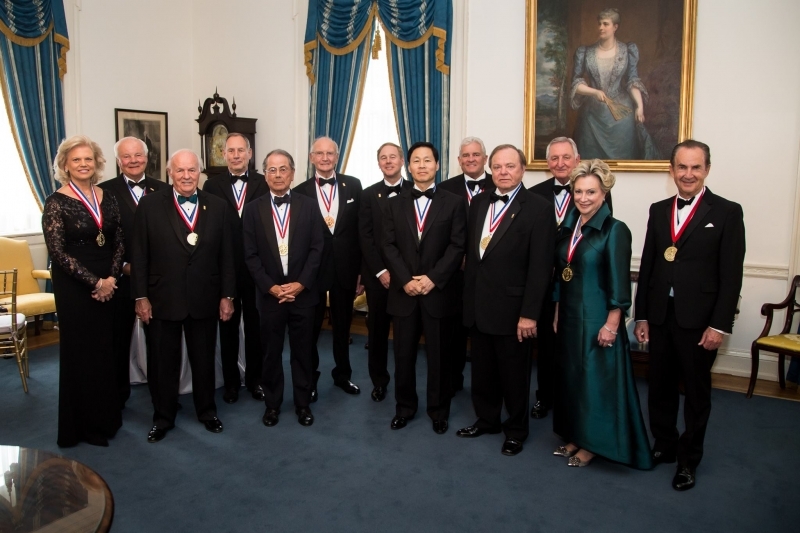 Horatio Alger Association Honors 13 New Members and 106 National Scholars at its 69th Annual Awards Induction Ceremonies in Washington, D.C.